Goosebumps. The bike gets attended to, the riding gears arranged, luggage packed, phones and cameras charged – all of this on the day(s) preceding the ride. And then comes… The Night before the Ride, when goosebumps happen, when excitement reaches its heights, when the eyes are closed but the sleep… is nowhere near. Kicking off the rides in the wee hours has multiple advantages – Getting out of the city without facing the traffic, experiencing the Sunrises on the highways, covering more distances in early mornings when the people/cattle/cyclists are yet asleep and not block the ways. But it also stands for a sleepless night spent staring at the roof wide eyed. Whether it’s a 200 kms ride or a 2,000, a solo or a group one, whether leading or bringing the tail, the excitement is grand. By the time it’s time to start off, I had already virtually woken up several times in the night, virtually geared up, sat on the bike and experienced the journey several times over, only to wake up and realize: It’s time. It’s the surprises the journey holds, the feel of people and places going past, the insects crashing on the cockpit visor, the awesome highway chai (tea) which awaits rush up the adrenaline and the faces flush with child like excitement. Time to get ready, armed n loaded. Dear Sleep, please come. Wind slapping the helmet. Check the checklist. Feels like awaiting first day of vacation after a boring year of school. Sleepless. Pray all goes well. Double check the checklist. Excitement for the rubber to be burned. Multitude of emotions – lazy and excited. Pray all reach at the meeting point on time. Dusty faces, yet satisfied. Feeling alive. Freedom. Yay! If one is riding with a group, messages are exchanged in the night to check if anyone is asleep, and usually, except for one, all reply in negative. So, obviously, the one fellow who managed to find some sleep gets cursed and abused for the entire ride! I guess, the feel to be out there, sitting on the bike rather than the confines of an air conditioned car, cruising miles upon miles, witnessing amazing vistas, improvising on the itineraries real time, and everything about it starting from adorning our nothing-less-than-astronaut’s-like uniform is the driving force which contributes to the heightened senses the previous night. It’s about time to stop existing and start living. Do you experience similar ‘disturbances’ before a ride or a trip? What inspires such emotions in you? Do share! -Check out my FB page here. 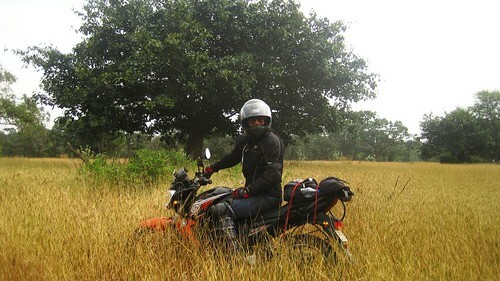 –Ride to West Coast- 6 days, 1900kms and 3 states! By now I am so accustomed to outings that roads seem home! No goosebumps now. Just push the key & move! A mobile, a vehicle & credit cards is all u need. Wow. Where is the second photograph taken? I know what you mean… I haven her samthing the night before. And also when your are just left, you keep wondering if you carried everything. The second pic is from our ride to Srisailam Water Reserve n Temple. I can understand the excitement, even when you know that you should sleep and you cannot. Same for every rider or traveler. I always feel the excitement like exactly the same way you describe it in your posts. 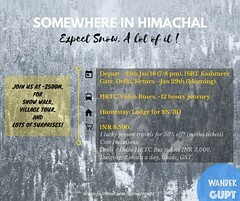 Now I have already added one to my checklist is a trip with you guys on a bike….i have mostly traveled solo but never on a bike 🙁 What is required to be qualified for a trip you plan next :), would bribing work lol no seriously…its an amazing passion. Best wishes for your journeys. Drive safe & be safe. 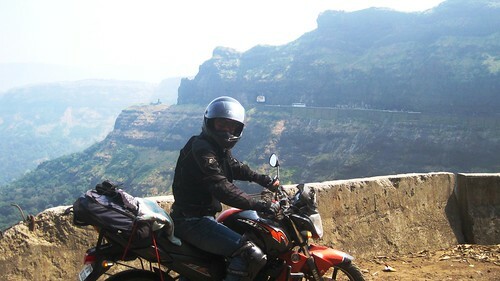 My husband and I take our road trip in our car, and yes, the adrenaline rush is nowhere quite as near the one a biker experiences. 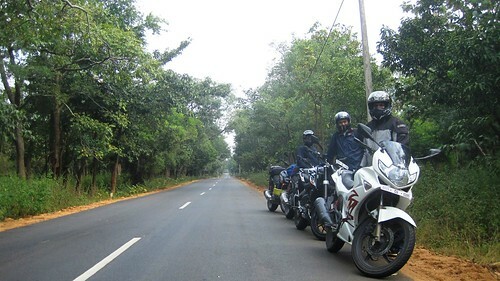 But yes, the exhilaration of hitting the road is quite something. It never wanes. And it’s so terribly addictive! So true, right?! I wish you and your husband thousands of miles of road trips 🙂 Thanks for stopping by. Great post. I like it Jatin: It’s about time to stop existing and start living.